ODEON – Europe’s largest cinema chain – will bring its unique brand of entertainment to Northwich as part of an exciting new £80m retail and leisure development at Barons Quay, overlooking the River Weaver. The new five screen, 707-seat ODEON cinema will open on Thursday 15th December in time for Rogue One: A Star Wars Story. Sitting at the heart of a thriving new retail and leisure quarter, the project is set to transform the entertainment and hospitality available to local film fans and families in Northwich. The new cinema has created 40 new jobs with 90% given to those in the local area across retail, management and guest experience positions. All new members of the team will enjoy the full training and exciting career opportunities available at ODEON. The cinema will feature the latest technology, including a state-of-the-art ODEON exclusive ISENSE screen, allowing guests to enjoy blockbusters on the cinema’s largest ultra-high-definition screen. ISENSE combines superior levels of big-picture quality, breath-taking immersive sound and all within an enhanced acoustic environment that caters for the optimum in guest seating comfort. 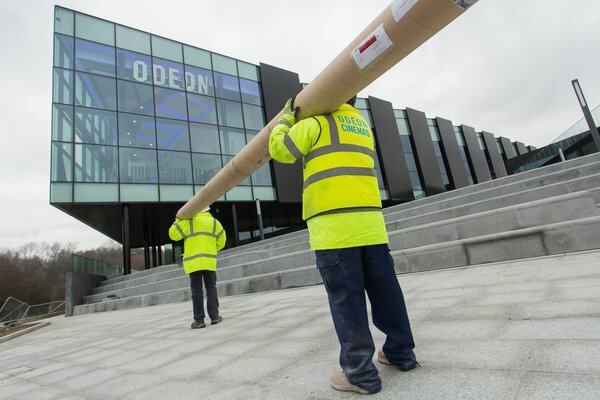 ODEON also recently opened a second brand-new cinema in Oldham, Greater Manchester on 21 October. This raised the total number of ODEON Cinemas in the North West to 15, showing the cinema chain’s continued investment in the region.